Here are some actors who have never really "made it big-time" - but who have brought me nothing but joy. 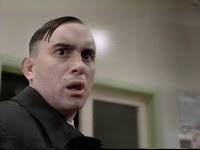 Jeffrey Combs is one of the main reasons I am a fan of Peter Jackson's romantic comedy/horror movie The Frighteners. As Special Agent Milton Dammers, he created a villain who was scary, pathetic, and bizarrely funny at the same time. He carried his gift for playing complex-to-the-point-of-weird characters over to the world of Star Trek, where he played nine different characters in three series, including three recurring characters. Once he even appeared as two different recurring characters in the same episode. His intensity, his offbeat delivery, and his sense of humor make every appearance a focal point. His current career niche is playing creeps in horror flicks. I would like to see him play a much wider range of creeps. I predict great things for Kristen Wiig, a Saturday Night Live regular since 2005. I haven't watched SNL (or anything else on TV) for rather longer than that, but I did catch her performance as a bungling surgeon in Ghost Town. I thought it was an extremely funny movie, and her scenes were among the funniest in it. Someone must be noticing her comedic gifts, because she is currently listed as a cast member in over half a dozen yet-to-be-released films. Lee Evans, a British standup comic, first grabbed my attention in The Fifth Element, in which he played a minor role as a cruise ship steward. Wide-eyed, tongue-tied, starstruck, and panic-stricken, his Mr. Fog contributed an element of slapstick comedy worthy of Stan Laurel. He didn't get together with his Oliver Hardy until Mouse Hunt teamed him with Nathan Lane. There, for once, he had a lead role that proved his power to breathe life into a bygone age of comedy. Sadly, the film industry doesn't seem to have much room for someone with his gifts. I first spotted Virginia Madsen in a B-movie. Gotham really was a wretched flick, but Madsen (who had already appeared in an important bit role in David Lynch's Dune) still managed to steam up the screen with her then-unknown costar, Tommy Lee Jones. I have always been overjoyed to stumble across her in subsequent movies and TV episodes, though most of her films flew way under the radar. Nevertheless she played the female lead in Highlander II, the original Candyman, Ghosts of Mississippi, the acclaimed Sideways (for which she received an Oscar nod), and the recent Haunting in Connecticut. So maybe she's not so B-list after all. Rick Ducommun has had a career playing bit parts. I can frankly only remember one of them: the gum-smacking utility worker in the original Die Hard, who rolls his eyes and shrugs when the Feds order him to shut off power to the besieged skyscraper. Why do I remember this? Probably because I saw that movie about 101 times, at around the same time as his only really notable role: Tom Hanks' sidekick Al in The 'burbs. I have a theory that The 'burbs was originally conceived as a vehicle for Dan Aykroyd and John Candy. Hanks, whose star at that time still had a lot of rising to do, teamed with Ducommun instead, and the results were hilarious. 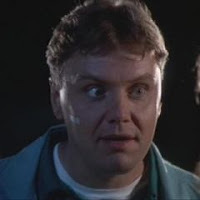 Rick also exercised his skill at playing more or less likeable slobs in Groundhog Day, Spaceballs, The Hunt for Red October, The Last Boy Scout, and The Last Action Hero, among other movies - but he hasn't been caught on film since 2004. Hmm. 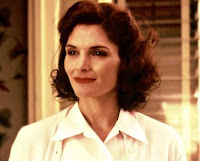 I sometimes wonder whatever happened to Mary Elizabeth Mastrantonio. She brought such an interesting combination of toughness and vulnerability to her film roles. I enjoyed her in The Abyss. She also had major roles in The Color of Money (Oscar nod), Robin Hood: Prince of Thieves, the chilling Consenting Adults, and The Perfect Storm. By this last film, she seemed to have moved on to the "character actor" career phase. Most of her work lately has been for the stage. What a loss for us movie buffs! She never got quite the blockbuster roles of, say, Ann Archer or Nicole Kidman. Maybe she sabotaged her film career by not being a Scientologist. Who can say? Then there's Tom Hulce. 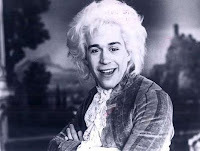 If you've ever seen the movie Amadeus, you'll have trouble imagining anyone else ever playing Mozart. He also played a developmentally disabled man in Dominick and Eugene, to great acclaim. 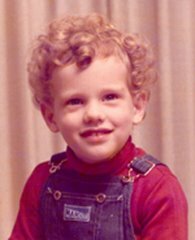 He played Steve Martin's brother in Parenthood. He contributed the voice of Quasimodo in Disney's Hunchback of Notre Dame and its sequel. Apart from some stage work (such as creating the role in A Few Good Men that Tom Cruise played in the film), a few bit parts, and one important movie that you can't see in North America, what has he done lately? This guy's talent deserves to be documented for posterity. He must be filmed! You may think reviewing books is little better than an idle hobby. Actually, it's more like a craft. And now that I'm approaching the 1,000-review milestone, keeping the quality high is no easier than it ought to be. There are a lot of steps involved in shaping, polishing, and presenting each review. 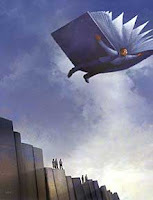 First, and not to be sneezed at, is the step of choosing a book to read. Some of the choices may seem like a no-brainer; I'm following a series, so I read the next book in it. But really, I'm following so many series at the same time that it must take some skill to keep my mental thumb on the place where each of them left off. I am constantly on the lookout for the next paperback in a ludicrous number of series. I sometimes have to visit out-of-the-way places, on- and offline, to get hold of copies in good condition and at a decent price. As for selecting which books to read in what order? I really can't explain how I do this. I pretty much go where my mood takes me. I certainly have a lot of options on my to-do shelf, any time I need to change books. Second, I read the book. There have been a few books I have started reading, paused to pick up something else, and had trouble getting back. Remarkably few, I hope. The rest of them absorb my attention during the hour or two each side of bedtime (depending on how naughty I allow myself to be). And during breaks at work. And in waiting rooms. On buses, airplanes. At airport terminals. During downtime at church and the symphony. Etc., etc., etc. I am not an especially fast reader as such. My productivity is boosted by my total lack of interest in TV and my deep, paralyzing horror of having nothing to do. I hardly go anywhere without a book. There's a special spot on the corner of my desk where I let books stack up when I have finished reading them. When the stack is yea high - say, four to six books - I devote a free morning or evening to writing a review of each of them. Then I put the book on my "done" bookshelf, from which I periodically cull a boxful to sell at Dunaway Books, conveniently right up the street. The writing itself is a lot of work. It would take me ages if I hadn't been practicing writing daily since childhood. Which is not to say that it's necessarily easy. It may look that way to an observer, but I make a special effort to say just so much about what happens in the book and no more; to offer up a personal evaluation of the work; to make it unique and readable and entertaining; and to give it an intelligent shape as a miniature essay. Some reviews come relatively easy. In other cases, it can be very hard to hit the right tone; I can end up scrapping most of my work and starting over. Generally speaking, writing a four- to six-paragraph review (give or take a few) on each of four to six books takes me two or three hours. I typically write the initial review for this blog. Then, often, I browse the internet for links to add to my review. 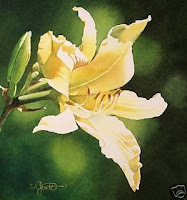 I most frequently include links for wiki articles, authors' webpages, and other reviews of mine. 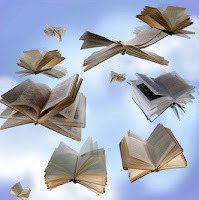 I have also been known to drop in links to fan websites, online bookstores, news items (most recently an author's obituary), information about film adaptations, and points of interest related to the topic of a book. 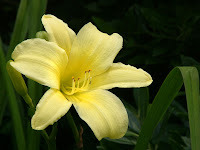 Finally, I search for enough pictures to make sure that, as the reader scrolls down through my blog, there is always a picture on the screen. I sometimes search arthouse websites, but I find most of my images through Google. After I publish the post, I then read through it once or twice. Partly this step is down to sheer vanity. But it has a practical use. I often find mistakes that I want to correct. 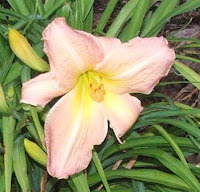 For a literate, literary person, it's sometimes astonishing how many typos, misspellings, grammatical errors, and half-complete rewrites I leave hanging out the first time I publish a post. Especially when I'm tired. After a couple rereads, I am generally satisfied with my writing. I may also move the pictures around so that they are as evenly spaced as possible, without interfering with the flow of the text more than absolutely necessary. And that's just the first of three times I publish each review. 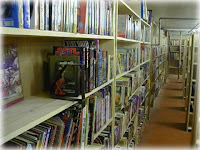 The second time will be on Shelfari, where I have a shelf of "books I have read" that more or less mirrors my reviews. I search for books I have read so that their images are displayed on my shelf. I rate them on a five-star system. I copy and paste the text of my review (losing the pictures, links, and most formatting in the process). Eventually, after irregular intervals, I will add subject tags to the books. Last of all, I put each review on MuggleNet. This may seem a bit backwards, since most of my reviews started out on MuggleNet and only moved to my blog later. But I only recently acquired posting privileges at MuggleNet, and I've been in the habit of doing the actual writing on Blogger for over a year. It works nicely. Plus, there are a lot of steps involved in posting to MuggleNet. I have to copy new reviews into a text editor, add html tags. I then open an html file for one of my existing reviews, downloaded from MuggleNet, and do a "save as" to create a new filename. I use "cut" and "paste" to very quickly replace the text of the review, so that I only have to type a few words (title, author, age recommendation) in each html file. I update the index pages for the Book Trolley as well. With the systematic use of cut and paste, I can keep the amount of code that I actually have to type to a minimum. All this coding, for 4-6 reviews and the relevant indices, can be done in only a handful of minutes! Then comes the FTP part. This is where I upload the new and revised pages to MuggleNet. Perhaps surprisingly, this takes longer than any other step since writing the reviews themselves. First I have to connect to the server. Then I have to wait several minutes for my FTP client to generate a directory of the main folder. Then it does the same thing for each subfolder until I reach the one I need to work in. The actual file transfer takes mere seconds. But before I can disconnect, I have to let it create one more directory. These long stretches where the computer says, "Working," in Majel Barrett's voice, can be very tedious unless I have other things to get done, such as cooking dinner, or shaving, showering, and getting dressed for work. Finally, there's a separate production admin site I have to visit so that I can leave a news bulletin about the new update where MuggleNet's casual visitors can spot it. When my cat is sitting on something I want to pick up, the command of choice is: "Puss Off." This works on several levels. For example, it is halfway between "push off" and another expression beginning with P and ending with "off." Cats have an eerie ability to follow you from in front. This is to say, they can walk exactly one step ahead of you from one end of the house to the other. Sometimes this can be annoying, especially when (for example) you're in a hurry to go to the bathroom. The correct command for this situation is: "Kitty Up." 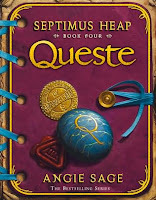 Book Four of the Septimus Heap series finds Princess Jenna, wizard's apprentice Septimus, and family patriarch Silas Heap all torn up about the disappearance of Sep's brother Nicko through a portal in time. Silas has resolved to go out searching for Nicko, and not to return until he is found. Sep, meanwhile, enlists the aid of a centuries-old alchemist, a rat-man who restores and preserves documents, and a friendly manuscriptorium clerk in the hope that a long-forgotten map will lead them to Nicko. Meanwhile, an old enemy has recruited a Darke Thing in a bid to darken Sep's destiny. An evil ghost joins the plot to force Septimus to go on the Queste that has claimed the lives of twenty apprentices before him. Originally meant as a reward, the Queste has become a curse as every apprentice who has gone on it was lost forever. And now, even though Sep is only in the third of his seven years of study, he is supposed to face a peril that has befallen fully-trained wizards until now. Septimus takes the better part of valor, running away with Jenna and his friend Beetle. He has a quest of his own, after all: a quest for the House of Foryx, a place where All Times Do Meet. For only there can they hope to bring Nicko and his friend Snorri back from their exile in the distant past. But this quest and the deadly Queste converge into a single adventure filled with magic, betrayal, and danger. Here is another opportunity to bring more young fantasy fans into Septimus Heap's remarkable world. It is a world of wizards, witches, dragons, ghosts, and shape-changing cats. A world where a single doorway can lead from one forest near the Castle to another one thousands of miles away. A world where a fortress surrounded by a bottomless pit has its door answered by a hunchback who talks with a lisp, where a family's heartbreak over their ne'er-do-well eldest son (Simon Heap) seems to have no remedy, and where the apprentice to the 776th Extra-Ordinary Wizard gets to hold a conversation with the very first one. I'm not sure where the overall shape of this series is leading. Sometimes I have doubts about its author's sense of structure - particularly at the end of each book, where she attaches a series of vignettes that unfortunately didn't work their way into the main body of the book. It's sort of like a "deleted scenes" reel at the end of a movie, except that in a book it seems more like a hasty regathering of dropped threads than a hint of what might have been. Still and all, I liked the camaraderie of the main characters, the swift pacing of the story, the complex interweaving of quirky fantasy concepts, the warmth and humor that glowed throughout. So I do plan to read the upcoming fifth book in the series, titled Syren. The Dragonback series concludes with this sixth book featuring the symbiotic pair of Jack Morgan (a 14-year-old orphan raised to be a thief) and Draycos (a K'da poet-warrior who can survive for up to six hours as a flesh-and-blood dragon, before having to "recharge" as a living tattoo on Jack's skin). These strange, er, skinfellows continue to make fresh discoveries about each other and the unique way they work together. But they will have to make a quick study of it, for the arrival of the K'da refugee fleet is at hand - as is the deadly ambush being arranged by certain human and Brummga villains, together with Draycos's Valahgua enemies. The Valahgua have a weapon whose name, the Death, says it all. You'll get to see it in action in this book, proving that the purple cone of energy snuffs out human life as efficiently as any other. Rogue mercenary Col. Frost, working with evil tycoon Arthur Neverlin, has assembled a fleet of human and Brummga fighters to engage the K'da fleet until the Death weapons are within range. A captured ship from the annihilated vanguard squadron will serve as bait. The entire operation is shrouded in secrecy and fanatically tight security. And Jack can't think of anyone he can trust enough to help him with this. But what can one human boy and his scaly symbiont do against all this? The answer is: not enough. But they aren't entirely alone. Another human-K'da pair lies hidden aboard Neverlin's ship. But one doesn't really know who Alison Kayna is, or what drives her agenda. And her symby Taneem has only just awakened from a state of brute insensibility. They can scarcely move a muscle without being caught. Then there are a couple men who might be on Draycos and Jack's side, but who knows? As the net around them tightens more and more, the two friends haunt the crawlspaces and uncharted regions of the captured K'da ship, looking for increasingly risky opportunities to sabotage the Death modules. And they finally realize that, before they can disarm the last one, it will be aimed at them. I'm not giving away another word about what happens in this story. It's simply a terrific conclusion to a roaring good series. It hasn't quite made a sci-fi convert of me. But it offers every incentive for fantasy fans to cross over. It's got spaceships, yes; but it also has dragons. It's got ray guns, talking computers, communication devices, and several cleverly imagined alien races; but it also has battle tactics, character development, textural details, and a growing throb of suspense. You've been waiting for five whole books to see the Valahgua in the flesh: it's worth the wait. You've plowed through five action-packed, intriguing adventures for this payoff. Haven't you? Well, you should have. If you take my advice, you will have. And then, take my word for it: this book does not disappoint. Except - well, for the fact that it's over. Order it if you must. That's how I got hold of this book, since Borders carries it only on their dot-com. It won't kill you to wait a few days. Better that than to miss out altogether! The little creatures of Moominvalley have always hibernated through the winter. This time, for some reason, Moomintroll wakes up a little after the New Year, and stays awake for the rest of the winter. At first, it's a hard adjustment for him. With the rest of his family sound asleep, he struggles with loneliness and boredom. The sharp cold, the snow covering everything, and the deathly silence of the garden fill him with melancholy. He yearns for the sun, which doesn't rise above the horizon for weeks. And when company does show up - lots and lots of uninvited company, driven into Moominvalley by an especially harsh cold snap - Moomintroll feels protective of his family's home and belongings. So while this winter in Moominvalley is filled with characters and incidents, the main conflict of the story is fought between Moomintroll and his winter depression. It is wonderful to see him discovering things about winter that many of us take for granted. Discovering its beauties and its joys, accepting its differences from the other times of year, and opening his heart to a crowd of strange and sometimes prickly new people, Moomintroll grows up a little during this story. This is the sixth book in an award-winning series originally written in Swedish by a Finnish author, who also illustrated a long-running comic strip based on the same characters. In it, she introduces some new characters who may include some of your favorites. Too-ticky turns the bathing-hut into her winter home, together with a family of invisible shrews. Unflappable, philosophical, she serves as a sort of emcee, introducing Moomintroll to all of winter's spectacle and the motley company that fills out the cast. We also meet Sorry-oo the dog, the Dweller under the Sink, an evolutionary Ancestor of the Moomins, the absentminded Squirrel with the Marvelous Tail, and a Hemulen who dresses like Charlie Brown, among others. Of Moomintroll's old friends, only the aggressive Little My shares his experiences, including ski lessons, a search for a missing Little Creep, surviving the Great Cold, and celebrating the return of the sun. And while Moomintroll struggles with his winter blues and anxieties, he gives joy to anyone who has ever been oppressed by winter's darkness. I, for example, laugh every time I consider Moomintroll's remark: "I intended to punish the sun by staying at home until he comes back." It is a book to brighten one's gloom, to lift one's spirits, and to chase away one's sadness while acknowledging that it is real. It is, in short, a book that may help as many children as it entertains. This collection of short stories about the happy Moomins and their friends dates from 1962, the year after Tove Jansson broke off her involvement with the Moomin comic strip (1954-75). These sweet, funny, often wistful tales contemplate such topics as anxiety, jealousy, restlessness, wanting to be left alone, and the drawbacks of having too vivid an imagination. In "The Spring Tune," our carefree friend Snufkin loses a thread of musical inspiration when a hero-worshiping Little Creep crashes in on his solitude. This story cleverly makes the point that you must let other people be themselves. "A Tale of Horror" is told of a young Whomper who doesn't mind the boundary between reality and make-believe. After frightening his parents with a story out of his own imagination, he gets sent to bed without his supper. He only learns his lesson when Little My gives him a taste of his own medicine. "The Fillyjonk Who Believed in Disasters" features a lady whose insides are twisted up by a constant sense of impending doom. She tries to confide her fears to a friend, the Gaffsie, but comes away feeling more alone than ever. Only when the worst really happens is she set free from her anxieties. Moomintroll catches "The Last Dragon in the World," but the tiny creature seems to prefer Snufkin. This triggers Moomintroll's jealousy and a test of Snufkin's friendship. "The Hemulen Who Loved Silence" seeks seclusion after a career of punching tickets at a pleasure-ground. After a stormy summer ruins the pleasure-ground, the Hemulen retires to a gated park. His quest for peace and quiet leads to a gently ironic destination. "The Invisible Child" comes to live with the Moomins after being frightened into invisibility by an ironical old lady. Too-ticky brings her in hope that the Happy Family's light touch will bring Ninny back. The solution is surprisingly funny. Then Moominpappa runs away to learn "The Secret of the Hattifatteners," silent wandering creatures who are said to lead a wicked life. Possibly the most psychologically profound story in this collection, it depicts lost people whose lives are an endless search for sensation - any kind of sensation that may fill their emptiness, overcome their numbness. The question is whether Moominpappa must become one of them in order to understand them. Good old Sniff makes his last appearance in this series in "Cedric." When Sniff regrets giving away a beloved toy dog, Snufkin tells him an instructive story. But of course, the materialistic Sniff completely misses the point. Finally, "The Fir Tree" finds the Moominfamily celebrating Christmas for the first time. Though they customarily hibernate right through it, this year they are awakened by all the fuss their neighbors are making about it. Struggling to understand what the holiday is about, they get entirely the wrong impression from the way everyone carries on about the decorations, gifts, and food. It's the ultimate satire on "missing the point of Christmas." This is a children's book that can be profitably read by adults. It offers insights into emotional and ethical problems that grown-ups may understand better than kids. But it does it through the characters that inhabit a cuddly, fanciful version of northern Finland. The resulting stories combine depth and substance with lightness and generosity. Fans of L. Frank Baum, Lewis Carroll, Kenneth Grahame, Astrid Lindgren, and the Rootabaga stories of Carl Sandburg will take great pleasure from this book. In the penultimate book of the Moomin series, we see not just Moominpappa at sea, but Moominmamma, Moomintroll, and Little My as well. But in another sense, the words "at sea" especially describe Moominpappa's frame of mind. Life has become too comfortable in Moominvalley. He has lost the sense of being useful to his family. So, dreaming of a lighthouse rock in the middle of the Gulf of Finland, he packs up his family and sets sail. Moominmamma shows how deeply she understands her husband when she says of Pappa's island: "That's where we're going to live and lead a wonderful life, full of troubles..."
Besides themselves, the only other characters in the story are the flighty seahorses, the frigid Groke, and the laconic fisherman who lives in a hut at the end of the island opposite the lighthouse. Oh, and of course, the sea itself. On a mostly bare rock swept by winds and waves, the family begins an adventurous new life... only to become discouraged, one after another, by the harshness of their environment, its loneliness, their own fears and unattainable desires. The seahorses personify the romantic desires awakening inside Moomintroll. As his mother observes, he's growing up; he won't be a little troll forever. His fears, on the other hand, come in the form of the Groke, who freezes everything she touches, and who seeks light in the darkness for no other reason, seemingly, than to sit on it and put it out. The Groke has followed the Moomins to the island, and only Moomintroll knows that it is she who wails in the night, who dances in the moonlight, and whose freezing trail kills plants in Mamma's garden. Between Moomintroll's struggles with the Groke and his Pappa's battles with the sea, the whole island seems to be in upheaval. No one can figure out how to make the lighthouse work. Mamma becomes so homesick that, for a while at least, she is able to step inside a painting of her garden back home. Little My seems to be there only to poke holes in everyone's conceits. Moving to the island has not solved anyone's problems; it has only placed them against a different background. The solutions will have to come from the people themselves, rediscovering their happiness in each other. It is remarkable to see the direction this series has taken. To be sure, a thread of melancholy has run through all the Moomin books, supplied perhaps by the very nature of living in the subarctic climate of Finland. But one increasingly senses that, as the series developed, Tove Jansson used it to address her own spiritual and relationship problems, to work them out in a way that would amuse and touch readers of all ages. In her ink-and-paper illustrations, the Moomins appear as crude cartoon figures against a comparatively realistic background. But in spite of their silly, vacant looks, these characters have souls. Perhaps you will recognize them, sympathize with them. If so, you will take much more from this book than the enjoyment of whimsical nonsense. 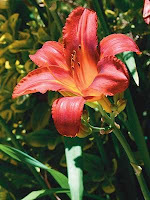 You may even deepen your understanding of people and your appreciation of nature. And you will certainly find in it a tale that engages your senses and touches your heart. In the last original novel about the Moomins, the Moominfamily itself does not actually appear. One can't help but feel a sense of loss about this. And as much as one may love the company of Moominpappa, Moomintroll, and Little My, it is the loss of Moominmamma that one feels most deeply. Perhaps this is connected to the death of the author's mother in 1970, the year this book was written. This book also signals a growing maturity in Jansson's writing; from this point on all her books were written for adults. So with a sense of bittersweet farewell, we sense the Moomin series growing up and going away forever. Some would even say this book is about letting go. Don't worry, though. Nothing has happened to the Moomins, nothing (that is) that we haven't already read about in Moominpappa at Sea. But while the Moominfamily is away on their lighthouse adventure, their cozy house isn't empty. Six of their friends just happen, all at once, to come for a visit. They are surprised, disappointed, even in some cases angry to find the Moomins (especially Moominmamma) from home. But they stay anyway, learning to live with each other's peccadilloes and helping one another solve the problems that brought them all to Mamma's doorstep. First, there's Snufkin, who has turned back from his footloose wanderings in search of a tune. He just wants to be left alone, but everyone needs his friendship. Only when he has helped them all find what they need does the elusive melody come to him. Then there's a Fillyjonk: one of those tall, thin, long-nosed creatures who cope with their anxieties by cooking and cleaning. After a near-fatal cleaning mishap, she finds herself paralyzed by fear. She correctly guesses that she can't overcome her terrors by herself. The surprise for her is the form her cure will take, as she takes up Moominmamma's apron and shares with others the healing power of food. A third guest is a Hemulen: the big, bossy type who always wants to arrange other people's lives for them. One day the Hemulen suddenly realizes that his life is pointless. He decides that the thing to do is talk with Moominpappa, who always seems to be doing something interesting. His quest is to find out that it's OK if you can't change the world. Filling out the guest list are the vain, saucy Mymble; the defiantly forgetful Grandpa-Grumble; and the tiny, scruffy Toft who uses the power of his imagination to conjure things that he describes to himself into reality. As, one by one, each of the guests finds what he or she needs and departs, you will be increasingly moved by what they learn about each other and about themselves. And when the final guest is left, the most basic need will be revealed. Some might call this a melancholy book. I have even read reviews that accused it, almost, of misanthropy. On the contrary, it is a very warm, comforting, uplifting tale that brings people together, and that may teach us to understand ourselves better. Frequently funny, constantly touching, populated by vibrant and sympathetic characters, and decorated with charming illustrations, it speaks with a poet's knack for bringing word-pictures to life. My only quibble is this novel's tendency toward run-on sentences (frequently using a comma where a period would be better), an annoying habit that is not evident in any of the other Moomin tales. All the same, I am pleased with it and with Kingsley Hart's sensitive translation work as a whole. And I can now gladly recommend this entire series to all families with sensitive, thoughtful children. I am already looking forward to giving a set as a gift. But when I do so, the best part of the gift will have come from Tove Jansson herself. French composer Hector Berlioz (1803-69) wrote his Symphonie fantastique when he was 26 years old. Just as the title of the Pathétique Symphony does not mean that it's pathetic music, in the present-day colloquial sense, so also the epithet fantastique is not a boast about how fantastic it is. Also titled "An Episode in the Life of an Artist," it is the very epitome of "programme" music. Part fantasy, part autobiography, it uses purely instrumental music to sketch a series of vivid scenes and to tell a story of infatuation, obsession, heartbreak, drug abuse, and madness. It is also an example of "cyclical" composition, with a theme (symbolizing a character in the story) woven into all five movements. And finally, it was the first major work by one of the giants of Romantic music, written when he was still a brash young turk. Yet it continues to be admired and enjoyed as one of the great concert pieces of its time. Out of a throbbing woodwind phrase, a silky-soft Largo emerges. This slow introduction sets a scene of empty melancholy. The musical "portrait of the artist as a young man" idly engages with several contrasting moods and ideas. Already Berlioz shows a flair for unusual yet effective melodies, original harmonies and instrument combinations. Around the 3:30 mark, the energy begins to pick up. At 4:45, we first hear the famous idée fixe, the theme heard throughout all five movements, symbolizing the object of the artist's obsession. (In real life, she was an actress named Harriet Smithson, who would eventually become Mme. Berlioz.) It is first played on a flute doubled by violins. An "agitated and very passionate" Allegro follows, expressing the ecstasies and agonies of the distracted lover. The idée fixe frequently returns, representing either glimpses or thoughts of the beloved, giving rise to a series of moods ranging from complacent to stormy. The movement isn't exactly in sonata form, but it doesn't have to be. The music tells a story that one is compelled to follow. It climaxes near the end in a triumph so irrationally ecstatic that it could actually be a foreshadowing of doom. The movement ends, after some 14 minutes, in a moment of peaceful tenderness. Movement II is a butter-smooth Waltz in which two harps play a notable role. One senses the giddiness of the romantic lead as he contemplates the grace and good cheer of his company. But his thoughts are repeatedly drawn back to his beloved, whose appearances in his thoughts (or perhaps in the crowd) are signaled by a reprise of the first movement's idée fixe. Each time it resumes, the dance becomes more charming, building to a rapid coda like the final scene of a comic opera - though this, too, is interrupted by a melancholy recollection of the beloved. Movement III, Adagio, is a gentle pastoral number depicting a day in the countryside. It begins with a dialogue between an onstage English horn and an offstage oboe, symbolizing two shepherds piping to each other from a distance. The main theme enters hesitantly over a spare accompaniment of plucked strings. The country setting seems to have cooled our hero's fevered brow for a bit, filling him with pure peace and pleasure for the first time since he set eyes on his beloved. But inevitably, his thoughts return to her (the idée fixe turning up again, midway through the movement), bringing along all kinds of anxieties to torment him. From then on moments of unease alternate with thoughts of happiness. After the main body of the movement ends, the English horn tries to recall the offstage oboe to their dialogue, but its increasingly concerned inquiries are answered only by thunder (played on the timpani). Movement IV is a grim march, depicting an hallucination in the artist's opium-addled brain. He dreams that he is about to be hanged for murdering his beloved. 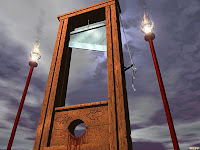 The march's menacing tones, crass gestures, and occasional bursts of triumphal gaiety, portray his progress to the guillotine, accompanied by the frightful figure of the hangman, the taunts and jeers of the crowd, and a grossly inappropriate holiday atmosphere. The march builds to a climax, then flips upside down to depict the condemned man's ascent up the steps of the scaffold. At the last moment, a brief reminiscence of the idée fixe crosses his mind before the blade very palpably falls. The closing chords of the movement depict the crowd's gruesome satisfaction. Movement V is another movement that could only be analyzed as a sonata with great difficulty. It begins, again, with a slow intro featuring the wolflike howling of an E-flat clarinet. The same instrument then kicks up a nasty little witch's dance based on the idée fixe. For our hero dreams that his spirit has been summoned to a witches' sabbath in which his beloved gleefully joins. Bells ring as the Gregorian-chant melody of the Dies irae, from the Roman Catholic Mass for the Dead, indicates that all these dark creatures have gathered over the hero's grave. In their satanic mockery of his funeral, the theme of the witch's bacchanal is finally superimposed on the Dies irae. Combining multiple themes simultaneously was a specialty of Berlioz's, and he was no stranger to the macabre either (as his Damnation of Faust bears witness). Above all, he was a master of highly expressive orchestration, often using unusual instruments and combinations thereof to paint vivid details into his musical artwork. This movement, for example, features a percussive string technique called col legno to create an eerie effect like the rattling of bones in a dancing skeleton. He brings the symphony to a close with another rapid coda full of eldritch shrieks and evil cackles. It would be disturbing if it wasn't so much fun. If you want a more detailed analysis of the Symphony, the programmatic titles of the movements, and a more detailed account of the storyline Berlioz wrote to go with them, wiki that stuff right here. I've tried to account for it, as much as possible, on a purely musical level - but it's really hard to do without getting narrative associations mixed in. Because of its scandalous, bohemian character, its grotesque colors, and its ear-catching quirkiness, it has a lot of appeal to college students who may be at just the right time of life to appreciate what it's all about. This is why I used Symphonie fantastique many times, during my salad days, to introduce friends to the joys of fine-art music. Many of them came away deeply impressed, and surprised to learn that the classics can really rock! Here is Charles Dutoit conducting the NHK Symphony Orchestra (Tokyo) in the fourth movement (march). Alexander Porfiryevich Borodin (1833-87) was a physician and chemist by profession. He published scientific papers and made notable discoveries. But today he is mostly remembered for a little hobby he dabbled in: composing music. 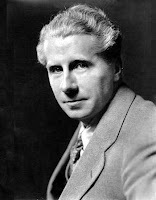 He wrote an important opera, Prince Igor, plus a pair each of symphonies and string quartets. The musical Kismet was based on some of this music. Borodin also left behind a symphonic poem and the torso of a third symphony, which along with Prince Igor had to be completed by others after his sudden death. Though music was only a sideline for him, and though his career was all too short, Borodin exerted a considerable influence over younger composers, including Sibelius, Debussy, Glazunov, Rimsky-Korsakov, and Ravel. He was the only member of Balakirev's coterie whose symphonies remain in the standard repertoire. Even if you're not aware of knowing any of his music, you have probably heard the song "Strangers in Paradise" from Kismet, based in turn on the "Polovtsian Dances" from Prince Igor. His music is noted for its richly colored harmony, Central Asian-flavored exoticism, Russian nationalist gestures, and lush romanticism. His second and last completed Symphony, in b minor, was written over a period of seven years and completed in 1876. He had to redo his orchestration of the first and last movement when their original manuscripts were lost prior to the work's first performance in 1877. Thanks to the support of Franz Liszt, this became the first Russian symphony performed outside of Russia. Borodin revised the work several times, right up to its publication in the year before his death. Movement I is an Allegro in sonata form. It begins with a menacing theme you won't forget any time soon. This theme, vacillating between B Major and b minor, immediately establishes the work as one of the great masculine gestures in symphonic literature. The brass section gets lots of play, beginning in the transition to the extremely lyrical and sensitive second theme. Keep your ears pealed for this theme, for versions of it appear throughout the symphony. First heard in D, it comes back for the recap in E-flat (the enharmonic equivalent of D-sharp), underscoring the movement's driving conflict between B Major (with a D#) and b minor (with a D-natural). The development takes these themes, especially the first one, through numerous evolutions, building them up to heroic dimensions. When you hear it through to its shattering conclusion, you'll be thinking: "This isn't just pretty good for an amateur. This is an amazing, world-changing feat of sheer genius!" Movement II is a very fast Scherzo in the remote key of F. Beginning with a kind of anguished scream, the main Prestissimo is a good-humored piece full of quirky rhythms and asymmetrical phrases. The contrasting Allegretto presents a sweet, gentle, lyrical melody with perceptible similarities to the second theme of Movement I. The codetta of this central episode sounds comically bloated and heavy. After a slightly awkward transition, the Scherzo returns. Listen for that bloated tuba again as this movement winds down toward its quiet close. The slower third movement is essentially a rondo evoking an ideal age of medieval valor, romance, and artistry. It begins with a clarinet singing gently over the accompaniment of a harp. 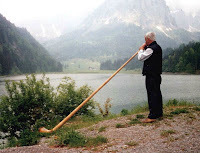 Other instruments, notably the horn, take up the chant. Alternating episodes generate contrasting moods, including a grim climax around the 4-minute mark that may remind one of a striking transition passage in the first movement. Here gorgeous, romantic melodies share living-space with moments of threat and doom, themes of noble courage with shrugs of elegiac lassitude. The movement ends with a return to the beautiful melody that set it on its way. The Finale is a loose sonata. Maybe. Or maybe it's just a collection of dances dressed up like one. Whatever is under all those glittering silks and fluttering scarves must have come from one of those Russian-dominated regions with a -stan at the end of its name. By turns playful, passionate, and enticingly perfumed, the movement swirls by in a brilliant display of cultural zest. And once again, you're left thinking not "Wow, not bad for a chemist," but just plain "Wow!" Here is Piotr Borkowski conducting the first movement of this work in Seoul, with the Korean Symphony Orchestra. Don't worry! They're not in this post. The title above refers to forty-one book reviews that I had previously posted on this blog, as a failsafe system in case the Book Trolley went off the rails. After several months of nothing getting posted, due to staffing problems on the technical side at MuggleNet, I finally finagled a (temporary) FTP login so I could post stuff myself. And post stuff I did. This morning, in the wee hours, I push-started my stalled book review column with a jumbo update. It doesn't bring my reviews completely up to date, but it's a good, solid start! Whew! Yay! And now... it's nap time. EDIT: 24 hours and 35 more book reviews later, I'm totally caught up. For the first time in years, the Book Trolley is rolling again! Some of the reviews I have just posted were written as far back as 2007. So this has been a red-letter day in my fort made of books! Her English name is Julie Edwards. Her Eskimo name is Miyax. She was brought up in the traditional ways of an Eskimo hunting camp. She was uprooted at age nine and sent to an English-speaking school. She was married at thirteen to a dull-witted boy in the city of Barrow at the northern tip of Alaska. And now she has run away, hoping to catch a boat from Point Hope to San Francisco, where her pen-pal lives. But Miyax soon finds herself lost in the Arctic wilderness. Lost and starving. Her traditional upbringing on an island in southwestern Alaska did not fully prepare her for survival inland, north of the Artic Circle. When we first meet Miyax, she has already pinned her hopes to a pack of wolves. If she can get them to accept her as a member of the pack, she may survive. As Miyax falls in love with a wolf puppy named Kapu, you will fall in love too. As she weathers the long winter night, you will shiver with her. As she faces the menace of a lone wolf, you will feel her tension. The beauty of a life eked out of one of the harshest environments on earth will reveal itself to you. The tragedy of such a way of life becoming a lost art form will move your heart. In language at one time rich and simple, naturalist and Jean Craighead George - author of many pieces of environmental fiction - will captivate your imagination. Except perhaps for its confusing and slightly disappointing ending, I was completely convinced by this winner of the 1973 Newbery Medal. The book is as old as I am, but it speaks to themes that are on people's minds today. And the unfulfilling ending may result from the fact fact that this is the first book in a trilogy, continuing with Julie and Julie's Wolf Pack. In 1923 the sequel to this book, titled The Voyages of Doctor Dolittle, became only the second book to win a Newbery Medal. Several more books about the amazing doctor from Puddleby-on-the-Marsh followed, some even being published after their author's death in 1947. But it is this book, published in 1920, that I remember reading when I was ten or eleven years old. Its wry humor, its theme of respect for all living things, and its Oz-like fantasy of an absent-minded country doctor who learns to talk with the animals, were a delight to me then and, perhaps, a major influence in my life since then. Lofting was a British native who married an American woman and settled down in the U.S. to start a family. During World War I, he conceived the Doctor Dolittle stories while writing to his children from the trenches. Later he revisited those letter-stories and published them, beginning with this book. This is the one where Doctor Dolittle learns to understand the language of the animals. Befriended by a dog, a duck, an owl, a parrot, a crocodile, and a baby pig, he struggles to make a living as a regular country doctor, then as an animal doctor. His fortune is finally made when the monkeys of Africa send word, begging him to come and help them through a great sickness. From then on his life is one adventure after another, from a shipwreck to encounters with a silly king and an even sillier prince, from the discovery of the only two-headed animal in the world (the unforgettable pushmi-pullyu) to a chase with pirates and a rescue on the high seas. The current HarperCollins/Books of Wonder edition of this book includes an informative foreword and afterword, and has been gently edited by Patricia and Frederick McKissack. Their aim was to remove racially offensive expressions, and to alter one incident that wouldn't play well in today's world, with as little change to Lofting's words and style as possible. I'm not altogether convinced that their changes were effective. The incident of the black prince who wanted to be white doesn't quite work when it's changed to a prince wanting to be a lion. Logically, psychologically, something is missing. But this is a small trade-off for making a classic of children's literature acceptable for another generation. 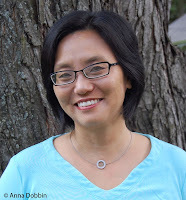 The 2002 winner of the Newbery Medal takes us back to medieval Korea, where a crippled man and an orphaned boy live together under a bridge in the potters' village of Ch'ulp'o. Young Tree-ear pauses from scrounging food from other people's garbage to watch the master potter Min throw a lump of clay on his wheel and shape it into a graceful urn. When Tree-ear breaks a piece of pottery, he begs to be allowed to pay for it by working for Min. The backbreaking labor includes chopping and hauling cartloads of wood to burn in the kiln, cutting clay out of the ground, and draining it over and over until it is silky smooth. Without ever being allowed to throw a pot himself, Tree-ear learns what he can about working the clay, appreciating graceful proportions, incising designs, and glazing pottery with the region's rare and highly-prized celadon green. Then a royal emissary comes to town, looking for a potter deserving of a government commission. Min's hopes are pinned to a few samples of his work, because he is careful and exacting and achieves excellence slowly. His chief competitor is an inferior artist who, however, has developed an innovative technique of inlay work, using different colors of glaze to create interersting surface details. When Min is unable to show Emissary Kim anything of that kind, Kim invites him to send him a sample of such work when he is ready. And Tree-ear volunteers to carry his master's work, on foot, to the royal court in Songdo. Tree-ear's journey is heartbreaking and uplifting at the same time. His devotion to the artistic purity practiced by his master, his friendship with the lame Crane-man, the struggle in his conscience when he learns a trade secret, and his hopes of being treated as a real apprentice at a time when the art of pottery was passed from father to son, fill this story with passion, beauty, tension, and the ache of longing. It is a wonderful way to learn about a corner of world history and culture many of us may not have known. It is, more importantly, a lovely story. The 1965 Newbery Medal went to this very deserving book about a youngster in Spain who is being groomed to fight a bull. Everyone in the Andalusian town of Arcangel knows that Manolo will soon be ready to follow in the footsteps of his father: the late, great matador Juan Olivar. Only Manolo isn't sure. He fears the danger, the oh-so-deadly danger of facing a thousand pounds of angry bull, complete with horns. Almost more than being wounded or killed, he dreads having to kill the animal. And most of all, he is afraid of his own cowardice. He is afraid that, by being unable to stand his ground before a charging bull, he will bring shame to his mother, to his town, and to the six aficionados who have taken him under their wing. As time presses on toward Manolo's date with his first bull, the suspense in this story builds to almost unbelievable levels. I wept over the boy's four-paragraph prayer to La Macarena, the patron saint of bullfighters, the night before his fated appointment with beef on the hoof. The outcome could be tragic. Or it could be the kind of story where the kid finds it in himself to be a great matador after all. But what it actually is, is more interesting. If someone were to write a book about bullfighting today, it would probably be a very judgmental book, condemning an institution that combined cruelty to animals with a reckless attitude toward human life. Or perhaps it would be a damning indictment of machismo in its most extreme form. But in 1965 it was still possible to look on this sport, this art form, this demonstration of skill and grace and courage, and appreciate its meaning and its beauty - while also counting its cost. Anyone who reads this book will come away indebted to its author for her balanced, unjudgmental approach, for educating us about a complex and captivating subject, and for bringing a dying culture so vividly to life once more. If such a beautiful story could take place in it, the world of the bullfight is worth getting to know. A friend of the family gave my parents a freezerload of venison a few months ago, and my parents gave me some of it. Much of it was in the form of ground venison sausage, the same stuff I used to make that nuclear pea soup a little while back. I didn't realize when I used it that it was already heavily spiced; my mistake was adding enough seasonings to make the soup zesty without taking the meat into account. Zing! Since then, I've used the spicy venison sausage in a variety of ways. First, I browned up a bunch of it and made lasagna. This worked out very well. Another good move was adding browned deer sausage to a batch of Zatarain's jambalaya. The spices in the meat complimented the pre-packaged flavoring, making a mixture that really popped. By the way, I've been eating my way through an assortment of Zatarain's varieties; they're all very tasty. I just had their yellow rice three meals in a row - which took care of one package. When it comes to ready-to-eat meals for unmarried slobs like me, these rice dishes could give mac'n'cheese and ramen a run for their, er, water. Another rice-based meal I recently enjoyed was Vigo yellow rice. I'm just mad about saffron, eh? Less successfully, I tried using the deer sausage in a batch of "salisbury steak" flavored Hamburger Helper. The spices in the meat overwhelmed the flavoring in the gravy. The result was three or four meals that I could choke down, but that didn't add much beauty to my day. Tonight, I have returned to the theme of pea soup. This time, however, I'm doing an orthodox job of it, using a ham bone. It's a long time since I've done that. My earliest efforts in pea soup involved cured pork hocks, which flavored the soup nicely but weren't any fun to de-bone. I mean, most of what isn't bone is skin. And who wants to eat that? (Please, don't answer that question.) So I have mostly turned to the expedient of "bacon ends and pieces," available on many supermarket meat counters. This larger bone-in cut actually looks like it may have come from a ham shank, and it has a considerable amount of meat on it. So perhaps there will be some "ham" in my "split pea and ham soup." Wonders never cease! This past Sunday morning, I performed a wedding at the Green Center in University City. I had never been there before. And nor had many of the guests, who said so one after another. 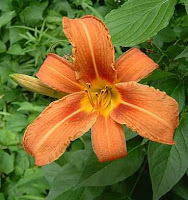 It's a lovely place, though, with patches of prairie grass, day lilies, an herb garden, a vegetable garden, a rain garden, a greenhouse, a butterfly way-station, and acres of green space surrounding a beautiful old mansion. It's within sight of a small park whose tennis courts were in constant use that morning, but I'll bet even the tennis players haven't noticed it's there. It was a beautiful day for an outdoor wedding. There was just enough of a sprinkle of rain, half an hour before the ceremony, to make us all thankful for the soft, cloud-filtered sunlight and the cool, clean airs that attended the nuptials. A three-piece band played slow jazz on the front porch. The small wedding party (myself, the bride and groom, and two witnesses) stood between a pair of gorgeous flower arrangements and an equally impressive pair of bronze lions guarding the front steps. Thirty-odd people in folding chairs looked on. The groom is one of those people who has been to the Green Center before. Lots of times. 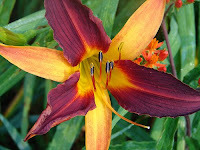 In fact, he is the day lily expert who planted the "splash of color" next to the front drive. 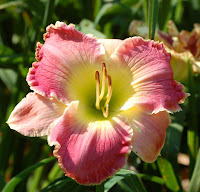 His laboratory garden is in the back, a series of beds where he plants, cultivates, breeds, and evaluates day-lily varietals on a three-year cycle. If you're interested in gardening, you should see this place. Also, if you're not interested, you should see this place: you might get interested. I know the groom from singing next to him in the Symphony Chorus, where our baritone voices blend wonderfully. I had only met the bride once in the weeks leading up to the wedding, but our conversation was enough to give me the raw material for the wedding homily, which went over rather well if I may say so. Neither bride nor groom is of my church fellowship. I performed the wedding, therefore, as a private friend rather than as an act of pastoral care or a public act of the church. I'm sure these circumstances are not unique, though they may be challenging (not to say awkward) for a faithful minister. I took confidence from the couple's willingness to be married under a rite in a Lutheran agenda. They even welcomed the traditional "thee's" and "thou's," which they preferred to the modernized verbiage, though the words "plight thee my troth" raised a slight chuckle. I also used the opportunity of a short homily to confess my faith. So I think I can submit the whole experience, with very little embarrassment, as an example of what can be done in a case like this. I do not say "in such less-than-ideal circumstances," because I can't recall participating in any wedding, in any capacity, even before the altar of the church, even among members of the church, in which the hearers seemed to welcome the faithful message more than this group. And other than the fact that I signed the wrong license (a souvenir copy) and had to go over to the couple's house later to sign the real one, it came off more smoothly and less stressfully than any wedding I can remember. The ministry is full of occasions when a preacher feels inadequate to the task. You can imagine that this is such a moment. Here I am, a confirmed bachelor and the son of a divorced couple, about to tell two people how to have a lasting and happy marriage. Two people, moreover, who have between them a total of sixty years of experience being happily married. So I’m going to begin by sharing some of the things I picked up listening to the two of you. Then I’m going to share a few things I believe, and I will challenge you to consider them as you go forth in the wisdom of your experience. Michael, when your wife of 32 years knew that her life was ending, Sandra admitted having felt jealousy. She knew, as you know, that you thrive best as a member of a couple. She knew she was going to have a successor. And it hurt her to think that someone else was going to enjoy you after her. But not at the end. At the end she expressed her hope that you would have a happy life, and she understood that in such a life you would not be alone. If Sandra is looking on, you can bet she’s smiling. Kathy, when Tom passed away after 28 years together, you didn’t know what to do with your life. I know it can be hard to move on. My mother felt the same way after losing my stepfather after 20 years of marriage. The memory of what you lost can make it difficult to move on. You are here today, beginning anew with Michael, because you saw that there is no law against living, taking an interest in life, and being happy. A crass person might say, you are both here because death set you free. Free from a bond that only binds “till death do us part.” And so, such a person would say, you are free to enter another bond. But that is not how I think about marriage. In my view, marriage is a mission. You have each completed one mission, and completed it successfully. Today you are freely signing up for another mission, a mission you will carry out together. I believe that you will be successful. I believe that your marriage will last as long as you both live. And I trust that, when death does separate you, the survivor will know how to go on. Life and loss have already tested you on this, and you passed the test. You know how the questions go, and you know the answers. I asked you one of those questions a few weeks ago over lunch in your beautiful home. I asked, “What makes a marriage work?” Your answers were honest and, I think, illuminating. Kathy, you counted patience among the essentials of a lasting and happy marriage. Michael, you mentioned that in your marriage to Sandra, sparks often flew between you, but you accepted them as part of the “weather” that invariably passes through a relationship. So you are both aware that there will be weather, and sometimes stormy weather, between you. Sometimes your patience with each other will be tested. Maybe, Michael, it won’t always seem enough to be fascinated with Kathy’s personality, or to love the sound of her voice. Maybe, Kathy, the love you feel for Michael will at times be a painful rather than a happy feeling. I think you are both grown up enough, and experienced enough, to know that such times pass, and that your relationship will survive. I trust that you can fortify your patience with each other with a healthy dose of forgiveness. When your mate seems to have taken things out of all proportion, look at yourself from his side or her side. It can be a humbling view. He or she will have quite as much to forgive as you will. As God forgives both of you, I urge you to forgive each other. Similarly, God has served both of you in Jesus Christ. He made Himself the servant of all, and on behalf of all He became obedient unto death, even death on a cross. He did this so that He might present us to God as a spotless bride. When St. Paul tells us about this in his letter to the Ephesians, he urges husband and wife to be imitators of Christ, serving each other as Christ has served you. Marriage is a holy mystery, Paul says. It is a sign of Christ’s unity with us as one spiritual body. It is a symbol of his redeeming love. It isn’t for nothing that some Christians view this joining of man and woman as a sacrament. I listened with interest when you, Michael, explained the theology, or philosophy, behind the way you live your life. I’ll admit there were some areas where we disagree. But I think you would agree that your life, and particularly your life together, is sacramental. Here’s what I think this means, and I hope you will give it some thought. In our Lord Jesus Christ, we find God reaching into our earthy, fleshy, human existence. Since Christ was born, He is no longer merely a transcendent spirit that surrounds and interpenetrates creation. Humanity has been raised to the right hand of God. Our life, our needs, our weaknesses and pains, matter to Him as they can only matter to a God who has been through them Himself. To me, nothing matters more than belief in an almighty, eternal God who has taken humanity into Himself. To me, this makes all the difference. God loves you. He is patient and forgiving toward you. In Christ, He has served you to the uttermost degree of service. And here’s the clincher that will make your relationship with Him really work: He is fascinated with you. If He was just a distant spirit, or an all-pervading force, you might perhaps doubt how significant you are, as individuals. But because Christ is, now and always, the God-Man, you are sacred. You, Michael and Kathy, have His undivided attention. It’s a paradox, a mystery, and an enigma rolled in one. It comes with the territory, since your Lord is beyond all understanding. He has created you. He has redeemed you. And even though there is so much more for Him to pay attention to, He has a close interest in you. It can only be because He is God, for whom nothing is impossible. It can only be because He is a Man, who bears with our weaknesses and sympathizes, because He has been there. And just as Michael loves Kathy’s voice, so our Lord loves to hear you. So let me leave you with this last thought: Prayer actually works. Prayer works because you have a heavenly Bridegroom who loves to hear your voices. Prayer works because your Father cares about you, cares enough to rejoice with your joys and grieve with your griefs. Prayer works because the Lord is near, and not far away; and because in speaking to Him, in asking Him for help, you exercise faith through which He is able to do so many things. When you want someone to complain to, complain to Him. When you want to vent your frustration with each other, dump it on Him. And when you need help finding where you laid your ability to forgive each other, look to God. Remind Him that He has forgiven you, as if He needs reminding; and ask Him to give you the gift of forgiving. To ask is to believe. To believe is to receive. So I ask you to join me in prayer today, and to continue praying, that the Lord would bless your marriage; that He would fill you both with every gift, so that you may bless each other.